bamboo, chickens and furnishings are engraved with gold, copper and Shakudo flat-type inlay. 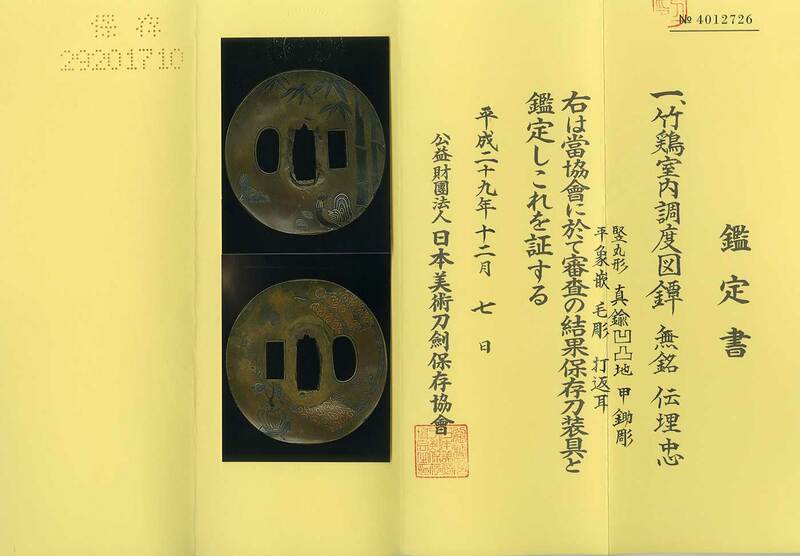 Umetada was a last name of craftsman study under Myoju. They live in Nishijin area of Kyoto, and they split to Yamashiro province and Nagato province and Hizen province.